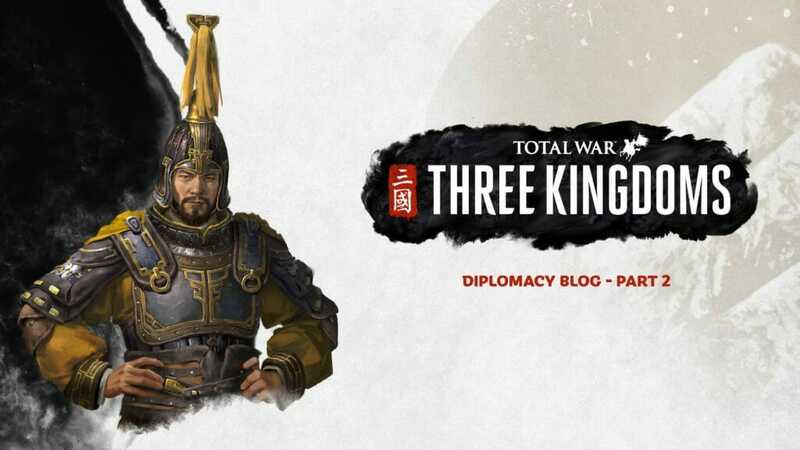 This is the second part of our close-up look at Diplomacy in Total War: Three Kingdoms, and like the first part, is accompanied by a video which you can watch here. In this one, we’re looking at how faction alliances work in the game, and how their functionality has expanded from previous titles. So! Pop-history time. 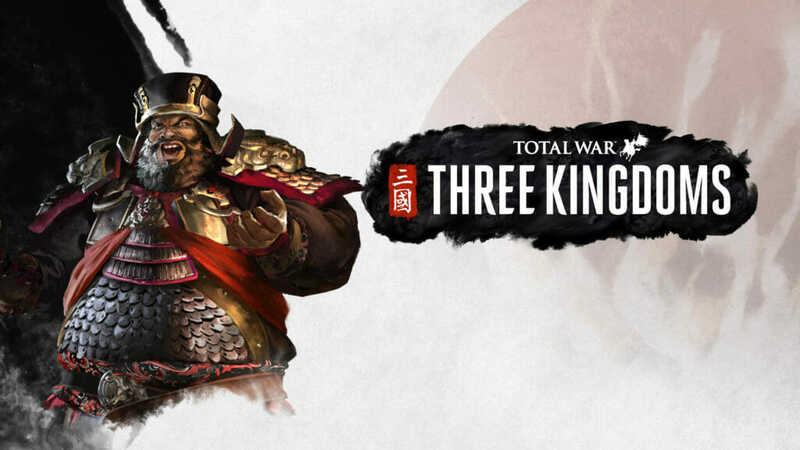 In the wake of the Han Dynasty’s steady collapse, the Three Kingdoms period was characterised by a series of shifting coalitions and alliances that formed, drifted, collapsed and reformed anew, as China’s warlords pursued their various agendas, and the country tacked the winds of change towards ultimate unification. 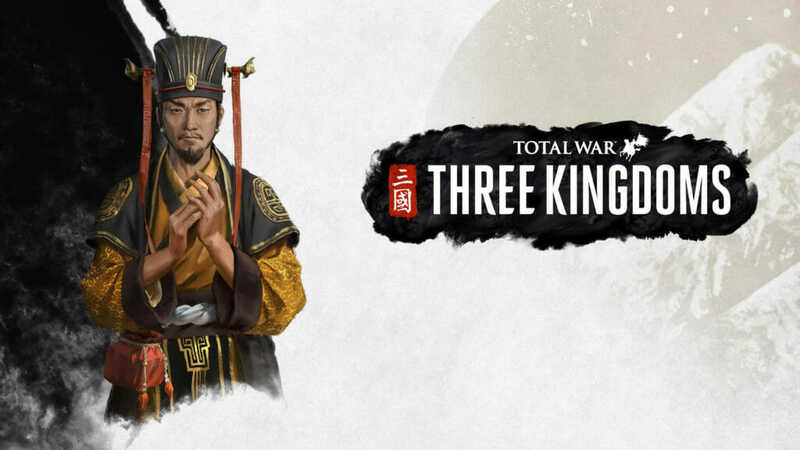 This is something we deemed vital to reflect in Total War: Three Kingdoms’ gameplay, so we’ve made some pretty fundamental changes to the way alliances work, and moulded them into two distinct forms: Coalitions and Military Alliances. While they share many common features, they offer different levels of choice, control and commitment. So what do they have in common? Well, the main elements are increased diplomatic standing with other members, and decision by consensus. Any major action which affects the alliance – such as taking it as a whole to war with another alliance, or inviting another faction to join for example – requires a vote. You’ll see this represented onscreen as a yes/no prediction for how each member Warlord is likely to vote, and naturally a majority is always required for success. An important consequence of alliance voting is how it can affect the attitudes of voting members. If a Warlord proposes an action to his alliance, the result of the subsequent vote affects the attitudes of the voters in line with how they voted. If the outcome matches the way they voted, their attitude will improve towards the Warlord who proposed the action. If the vote doesn’t go their way, their attitude will fall. So, sometimes it’s worth lending your support to an initiative you’re not entirely comfortable with in order to keep your relations with other alliance-members strong. We’ve also approached alliances with the intention of making power-groups more easily identifiable and more elegant to achieve on a technical front. In previous games, joining an alliance required individual treaties between individual factions – so an alliance of 3 factions would require 3 individual treaties. Now when a faction joins a coalition or military alliance, either through application or invitation, they become part of the group and automatically become allied with each other. You can then group the diplomatic faction list by alliances, so you can easily see who’s in a coalition or military alliance with who. Plus, when alliances are formed, they are assigned a suitably lofty title, such as the ‘Sacrificial Tree Alliance’, or ‘Thundering Sky Coalition’. Alliances also affect how you use your armies. Armies are now dependent on military supplies to ensure factors such as morale and replenishment remain tip-top, and while being in friendly territory improves supplies, campaigning in enemy territory reduces them. Extrapolated to extremes, this means that striking deep into enemy territory for long periods will erode an army to uselessness over time. In short, the system places more realistic limits on an army’s effective range. Both coalitions and alliances enable you to increase this range, as a fellow-member’s territory is treated as friendly for the purposes of gathering military supplies. Coupled with the fact that you’ll gain campaign line-of-sight over alliance-member territory, alliances therefore create staging opportunities against enemies that lie further afield. A coalition is the looser form of the two arrangements, and less binding in nature. Coalitions are easy to sign up to early in the campaign – you only need a moderate diplomatic standing with another faction to form one – and they’re fairly ephemeral. While you’re in a coalition, your diplomatic standing with all members improves, and any factions you’re at war with will lose diplomatic standing with your coalition buddies. Over time, this can help to create more like-minded factions, in terms of their attitudes towards the world around them. However, coalition members have no major contractual duty towards one another. There are no specific terms of mutual defence for example – if a faction declares war on a faction that is a member of a coalition, they declare war only on the faction. But, by the mere fact that your standing improves over time with other coalition members, it becomes much easier to curry military support with individual member-factions in the event you’re attacked. This is where military alliances differ. If a faction declares war on a member of a military alliance, he can treat it as a private war and duke it out as normal, or he can call on all alliance members to join the war. And crucially, they are duty-bound to join. It’s not an option for them; it’s basically part of the EULA for joining a military alliance, and the thing that makes a military alliance a far more binding form of commitment than a coalition. A military alliance essentially grants you a cast-iron guarantee of group defence in times of war. As you might expect, this makes the cost-to-entry that much higher as well. You need to be of Marquis rank or better to sign a military alliance with another faction, and you need a considerably higher diplomatic standing than you would to sign a coalition. After an alliance is formed however, factions of any rank may request to join, or be invited to join by a member-faction, which then goes to a vote. 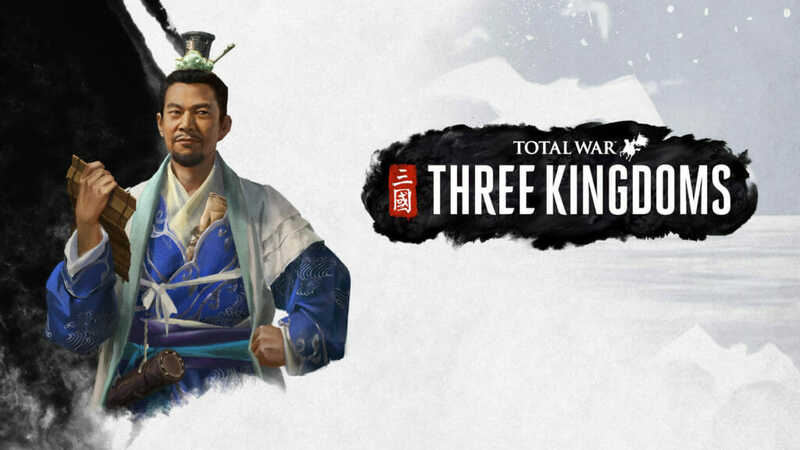 The exceptions to this rule are Yuan Shao and Yuan Shu. They’re both able to sign coalitions and military alliances right from the start of the game. It’s by no means impossible to solo your way through in Total War: Three Kingdoms, and indeed you’ll ultimately need to stand alone when you ascend to the lofty status of Emperor. But to ignore the benefits of coalitions and alliances would be a failure to exploit the leg-up they can give you in terms of inter-factional relations, group defence, and crucially, in combating other powerful, multi-factional alliances which inevitably rise as the campaign progresses. The AI isn’t shy about signing coalitions and military alliances of its own, and you’ll see major power-blocks forming as other faction’s goals and interests align.